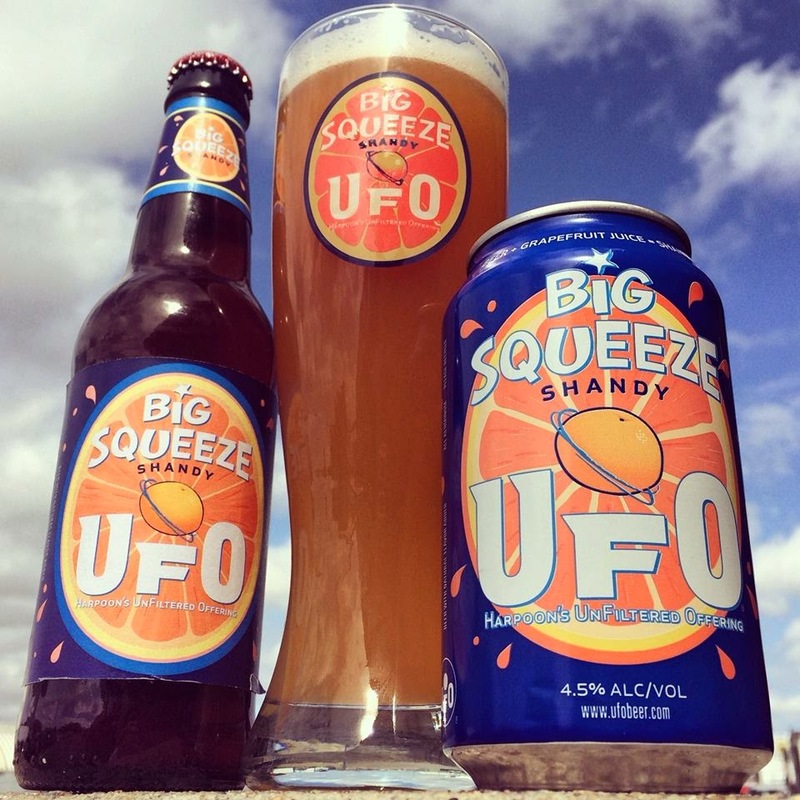 This summer Harpoon decided to make a beer with grapefruit juice called UFO Big Squeeze Shandy. I'm a huge fan of all things grapefruit, and I honestly think it's my favorite beer of all time. I bought a 12-pack on Memorial Day expecting to only drink one or two, but they went down like Gatorade and I had eight of them (I swear the fact that it has grapefruit juice in it also helps battle the hangover the next day). Now I'm hooked (It was my official 4th of July beer this year). The problem is, very few bars and liquor stores carry it. I've got a feeling it's not very popular, and Harpoon may decide not to make it any more. At the very least it'll be a "seasonal offering," and they won't brew it again until next summer. That is not going to work for me. I might need to stock up and start buying out every store's supply in a hundred-mile radius; like in that episode of Seinfeld where the "Today Sponge" went off the market and the women Jerry was dating (named Lena, pictured) had an entire closet full of them. And then for the rest of my life will I have to consider how important the situation is every time I drink one? One of my favorite movie speeches ever. I get goosebumps every time when he rhymes night and fight. Also, there are apparently two sequels to Independence Day in the works (without Will Smith), to be titled Independence Day Forever Part I and Part II. 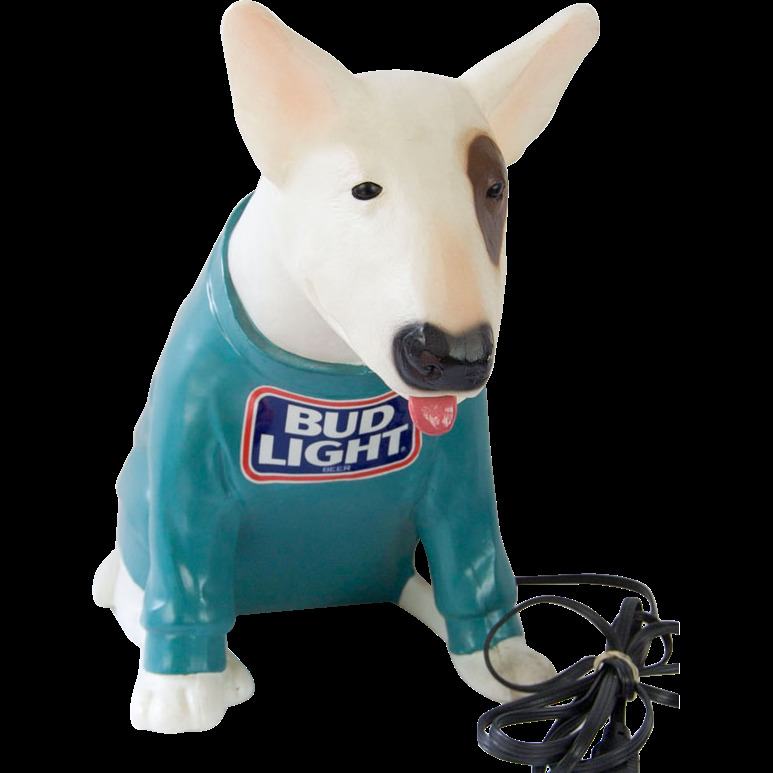 Last week I was in a restaurant that had a Spuds MacKenzie lamp sitting on the bar. If you're not familiar with (or somehow don't remember) Spuds MacKenzie, from 1987-1989 he was the original party animal. After gaining massive fame and popularity during his brief reign at the top, Anheuser-Busch decided to eliminate Spuds from its ad campaigns because of criticism that they were marketing beer to children. There was probably some merit to this, because 11-year-old me thought Spuds was the greatest thing on the planet. I definitely owned a stuffed animal Spuds, which the existence of in itself probably proves the point. The sunglasses he's wearing in the first commercial have been all the rage again the last few summers, so maybe it's time for Spuds to be back in style as well? And while they're at it, I'd love to see Anheuser-Busch reinvent those scary Bud Ice penguins too. That was some game yesterday, but now we can all go back to not caring about soccer for the next 1,400 days or so (until the 2018 World Cup in Russia). And as much as people (myself included) got excited about this edition of Team USA, it is still true that we don't really care about soccer. 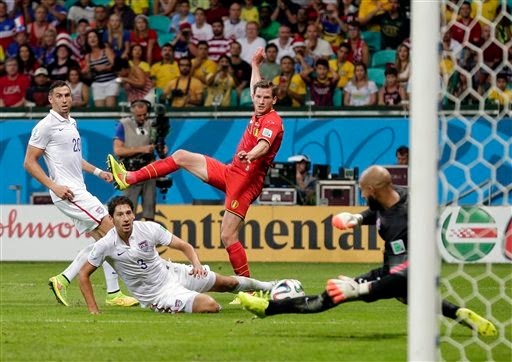 Because of that I'd almost feel guilty if the US had continued its run in this World Cup. It's so much more important to these other countries; we don't deserve to be a soccer powerhouse. If you disagree, try googling "pro sports in Belgium" and see what you come up with. Here's my American analogy to what the World Cup means to some other nations: First imagine that the NBA, MLB and NHL no longer exist. There is only the NFL. Then pretend the league's playoffs only come around once every four years. How excited would you be for Tom Brady's last hurrah in a quest to win the 2016 Super Bowl (the first since the Patriots' painful loss to the Giants in 2012)? That's what the World Cup is like for Brazil, Argentina, Belgium, the Netherlands, etc. 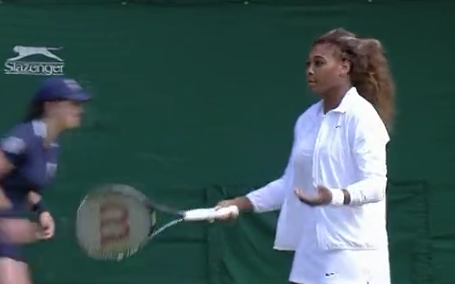 What the heck was going on with Serena Williams at Wimbledon this morning? The warm up video reminds me of when I used to teach tennis to beginners. After teasing their fans by busting out 8 runs and 12 hits (with every player in the lineup contributing at least one) in Yankee Stadium on Sunday, the pathetic 2014 Red Sox offense was back to its old self on Monday, getting shut out and nearly no-hit by the lowly Chicago Cubs. Boston has now scored more than 3 runs just five times in its last 21 games. The team that led all of baseball in scoring last year is currently dead last in the American League in that category. The writing is on the wall for this edition of the Sox (38-45) to pack it in, play the kids, and start thinking about the future. Recent moves indicate a trend in that direction. First Grady Sizemore was cut, followed by Chris Capuano. 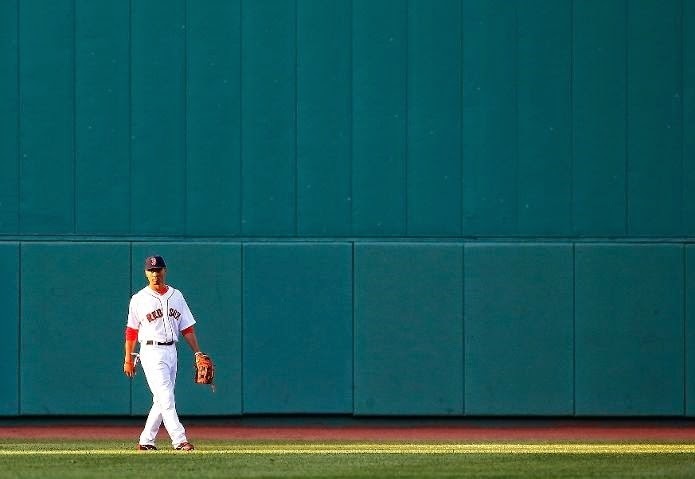 Top prospect Mookie Betts is now in the majors, less than a month after being promoted to Triple-A and converted from second base to the outfield. Jake Peavy may be one bad start away from losing his spot in the rotation to Rubby De La Rosa, and there are rumblings that catcher A.J. Pierzynski should be benched in favor of Pawtucket's Christian Vazquez. Here's the thing though: As bad as the Red Sox have been, they're somehow only 6.5 games out of first place with 79 left to play. That's nothing. I don't expect the offense to miraculously turn itself around, and I don't envision Boston making the playoffs. But the Sox are still very much in the AL East race, so it'd be totally illogical to give up on them at this point. It's an extremely frustrating situation. The division is right there for the taking, yet I have no real hope or confidence that they can do actually it. The Coasters released "Yakety Yak" in 1958, but I've always known it as the song Arnold Schwarzenegger sang in Twins thirty years later. 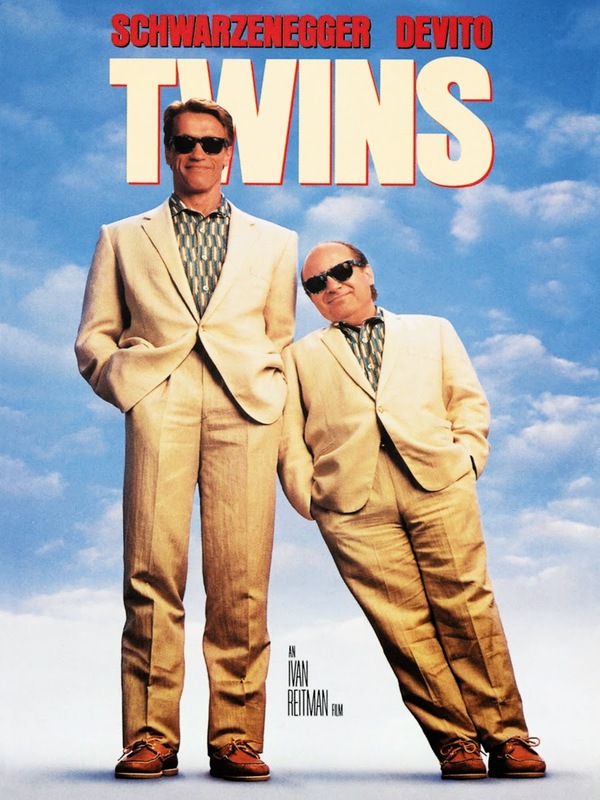 If you were born sometime after the Reagan administration and are not familiar with the 1988 film Twins, I highly recommend giving it a shot on Netflix (or whatever similar technology you use). On the other hand, it's probably been at least two decades since I last saw that movie, and it's entirely possible it would just seem stupid now.